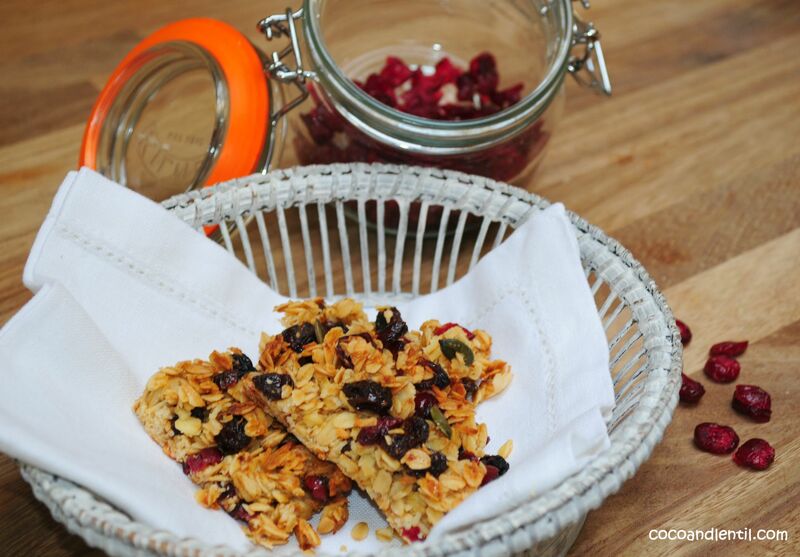 These crumbly, crunchy bars are just divine! 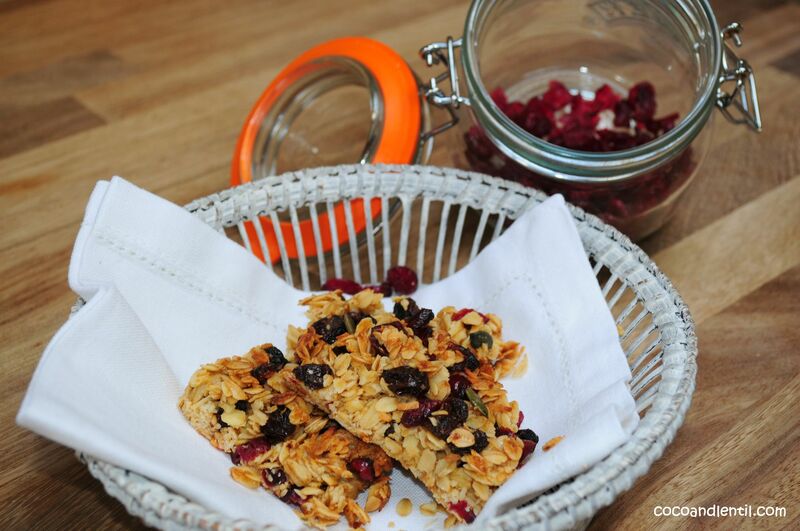 Mix up supermarket snacks with some home-baked treats. Everyone needs snacks and our family is no different! Whenever Lentil asks for a rice cake or cereal bar I think I really need to come up with some healthy, tasty alternatives to supermarket bought treats that his Papa will also like! That’s not to say that supermarket-bought snacks don’t have their place – of course they do! Some of the big brands now make healthy, organic snacks, which are super convenient. I’d be kidding myself if I thought I could bake all my kids snacks, but I like to try when I can. 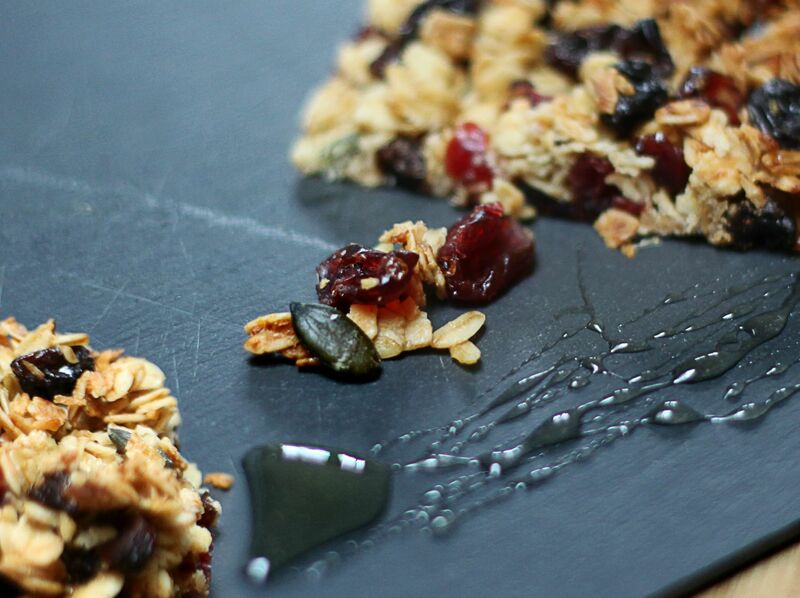 These oat slices are yummy. You can add whatever dried fruit you like. For a really sticky slice that doesn’t crumble too much add more honey, or if you’re in the mood for something sweeter, use maple syrup instead of honey. I used honey in this version – saving the maple syrup variety for Mama and Papa! Pre-heat the oven to 200 (180 fan). Melt the unsalted butter in a medium-sized saucepan. Add all the other ingredients, except the honey, and mix together well. Next stir in the honey and pour the mixture onto a lightly greased baking tray. Press down with a wood spoon /spatula. Bake in the oven for 15-20 minutes until golden. Set aside to cool and then cut into squares or slices. Pop into your mouth and enjoy! Definitely an easy one for the kids. My toddler just loves mixing anything in a bowl with a wooden spoon!